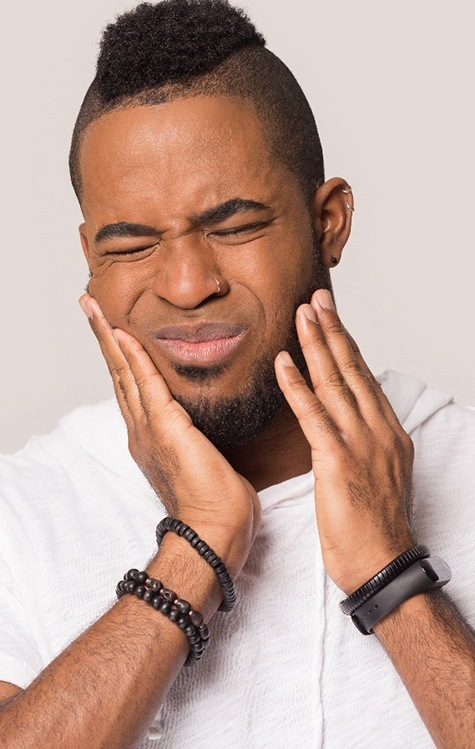 Dental pain can come from a variety of sources and determining the root cause is essential to getting you the treatment you need. 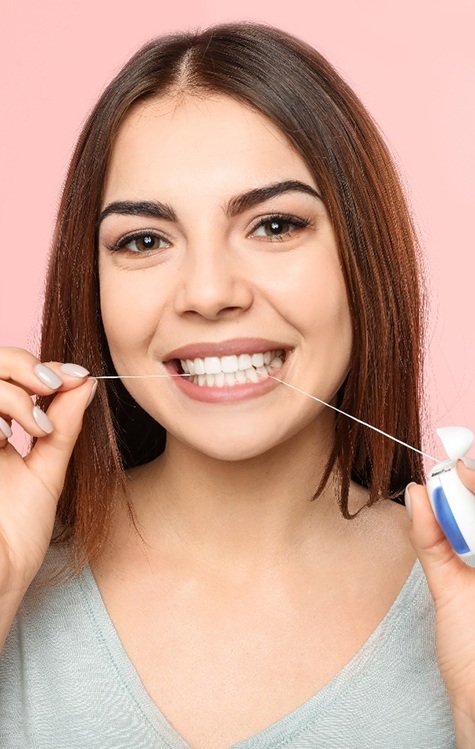 At Stonebriar Smile Design, our comprehensive understanding of dentistry enables us to quickly figure out what is causing your discomfort during dental emergencies and formulate an effective solution. We also have state-of-the-art 3D cone beam technology which adds an entire dimension to x-rays, helping to identify a dental infection. Living with persistent pain simply isn’t good enough for our patients, so, when you need relief, please don’t hesitate to come see us. If you’re suffering from any dental pain, we can help. Don’t go through another day worrying about your teeth. Contact us today for an appointment with one of our skilled emergency dentists. Have a tooth knocked out? Severe toothache? Lost or broken dental work? When you need dental care fast, you can always rely on our dental office in Frisco. When you call us with an emergency, we’ll do everything we can to see and treat you as quickly as possible. Our team is trained and equipped to handle a wide variety of dental emergencies, so when you need us the most, you can trust that we’ll always be able to help. We can also walk you through at-home care over the phone, including the following first aid and pain management steps. 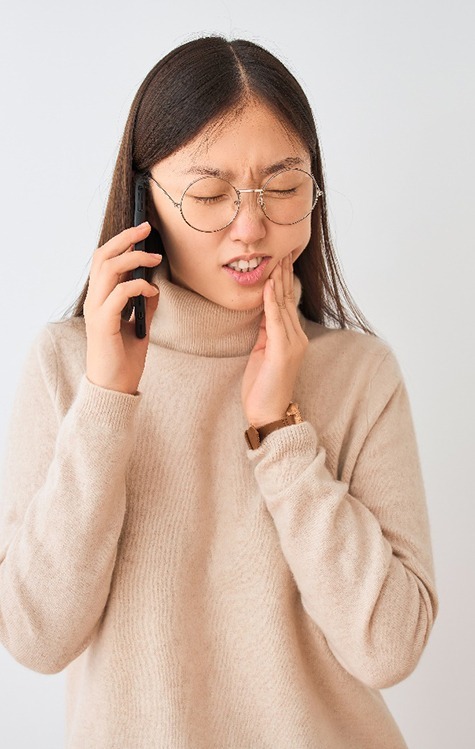 If you’re experiencing a toothache, examine the damaged tooth carefully to make sure there isn’t anything stuck between teeth or any visible dental damage that is causing the discomfort. You should call our team for an appointment, but in the meantime, take over the counter pain relievers as directed to improve comfort. You can use ice packs or cold compresses at 20 minute intervals to relieve pain, prevent inflammation, and slow bleeding. Topical numbing agents can also be used to relieve discomfort unless you have an open wound. When possible, avoid eating until you reach our dental office. If you do eat, take care to avoid chewing with the damaged area. You should also be careful to avoid the damaged area when brushing and flossing your teeth. If you have a chipped or broken tooth, carefully examined the damaged area. To slow bleeding, bite down on gauze or clean cloth. If bleeding continues, apply ice packs at 20 minute intervals. 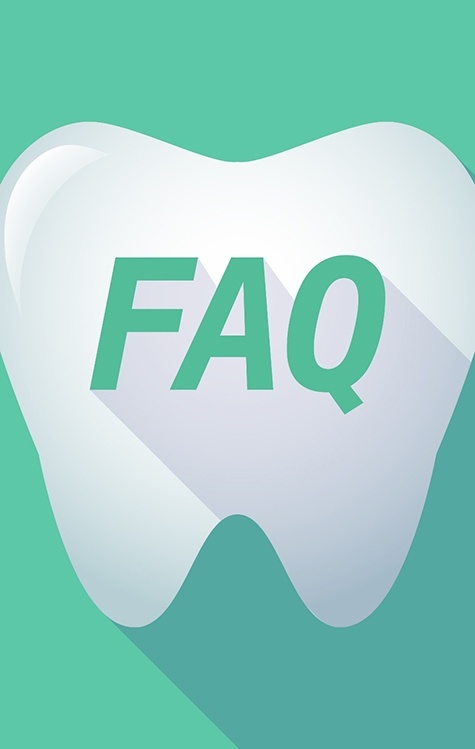 If the chipped or broken tooth has sharp edges that may cause damage to surrounding teeth or soft tissue, you can cover the sharp pieces with orthodontic wax or continue to bite down on the gauze to protect surrounding structures from additional damage. When possible, avoid eating until you reach our dental office. If you do eat, take care to avoid chewing with the damaged area. You should also be careful to avoid the damaged area when brushing and flossing your teeth. If you’re experiencing discomfort, follow the directions above for toothaches. If you’ve experienced a knocked out tooth, try to retrieve the tooth and replace it in the vacated socket. If you’re unable to replace the tooth in its socket, store your tooth in a container of milk or water until you reach our dental office. To stop bleeding, bite down on gauze or clean cloth. You can also use ice packs to help relieve pain and swelling and slow blood flow. You can also take over the counter pain relievers as directed for discomfort. When possible, avoid eating until you reach our dental office. If you do eat, take care to avoid chewing with the damaged area. You should also be careful to avoid the damaged area when brushing and flossing your teeth. If you’ve lost a filling, follow the directions above for chipped or broken teeth. If you’ve lost a dental crown, try to replace it over your tooth. If you’re unable to replace the dental crown, you can store it in a container until you reach our dental office. Then, follow the directions for a chipped or broken tooth above. When possible, avoid eating until you reach our dental office. If you do eat, take care to avoid chewing with the damaged area. You should also be careful to avoid the damaged area when brushing and flossing your teeth. If you’re in pain, please follow the directions above for toothaches. We utilize a wide range of dental technologies to completely streamline the emergency dentistry treatment process. The 3D CT scanner is one of our most important diagnosis and treatment planning technologies. The cone beam scanner enables us to create a fully 3D x-ray image of your teeth, jaw, and other surrounding structures. This will provide us with much more information than a traditional x-ray, which will give us a better chance of identifying the underlying cause of your pain, whether it be an injury or infection. If you’re experiencing severe toothache or dental sensitivity or have a dental crack or break that reaches the interior layer of the tooth, you may need a root canal. These treatments are necessary when dental damage accesses the inner most layers of the tooth where the nerve system is housed. In order to relieve pain and restore dental function, a root canal allows us to remove and replace the interior dental structures. The cost of your emergency dentistry treatment will differ depending on the complexity of the dental services you’ll need to repair any damage and renew your oral health. When you visit our dental office during an emergency, we’ll review your situation, explain all of your treatment options, and help you to understand the cost associated with each treatment. Additionally, we’ll process and file dental insurance claims to help you offset the out of pocket costs of your emergency dental restoration. We are also happy to work with third party financiers to deliver low and no interest payment plans.